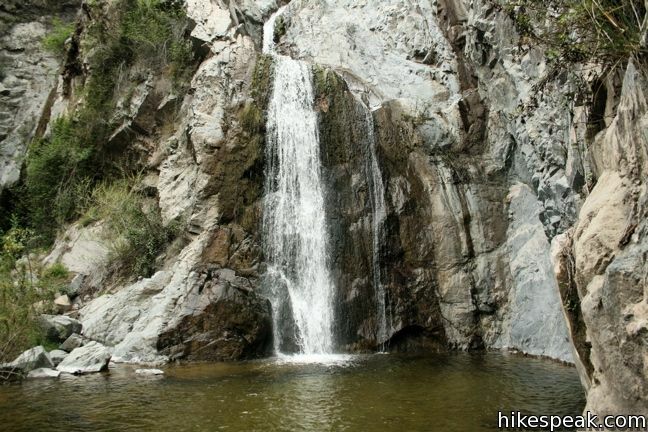 The San Gabriel Mountains are a monumental mountain range running west to east across Los Angeles County through an area north of cities like Glendale, Pasadena, Arcadia, Azusa, and Claremont. Despite the proximity to Los Angeles, these mountains hold many wild and beautiful peaks and canyon. 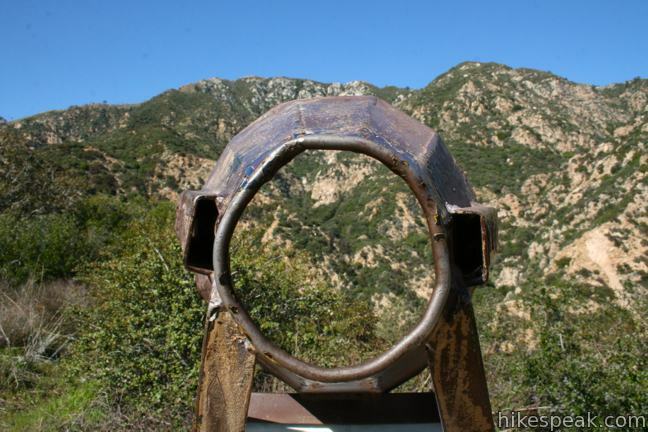 Though it is close to LA, in some ways the San Gabriel Mountains couldn’t be farther away. 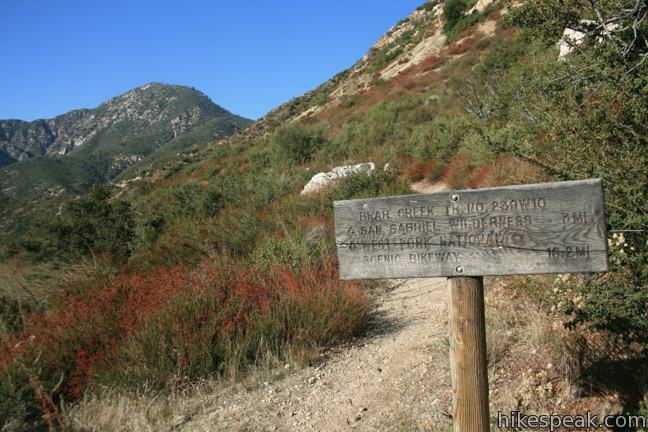 Escape to great trails in the San Gabriels! 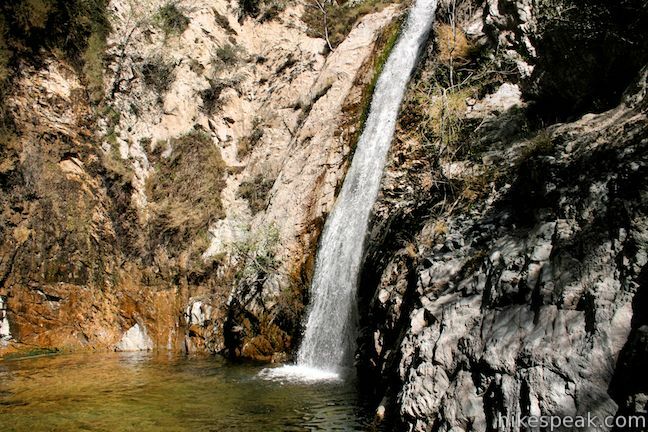 On October 10th, 2014, San Gabriel Mountains National Monument was created to give special designation to this impressive mountain range and protect its sublime waterfalls, soaring summits, and sylvan forests. 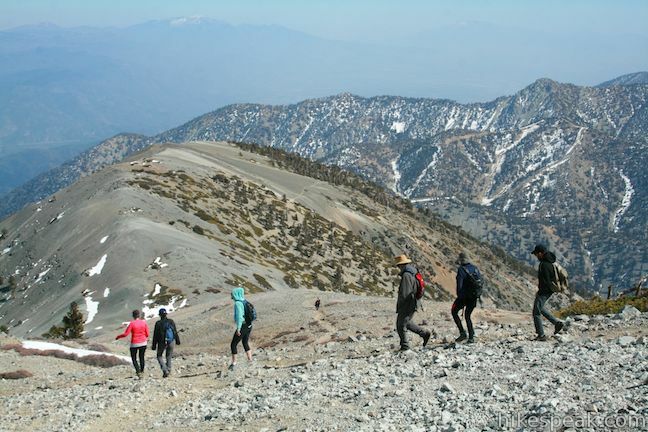 The new monument covers 342,177 acres of Angeles National Forest as well as 4,002 acres of San Bernardino National Forest on the east end of the range. 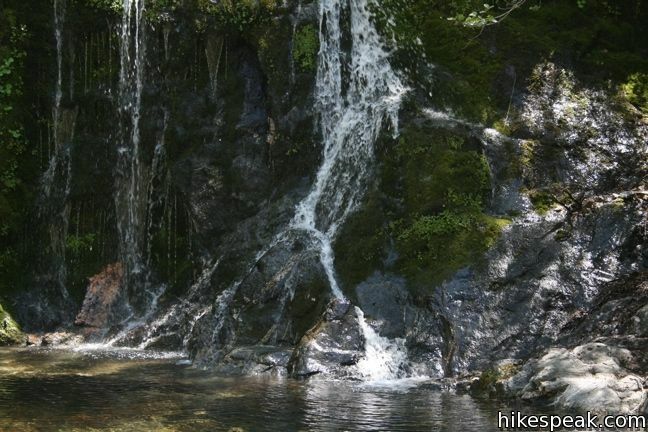 This 540-square mile park is a playground for the outdoorsy, with great hiking trails and campgrounds. 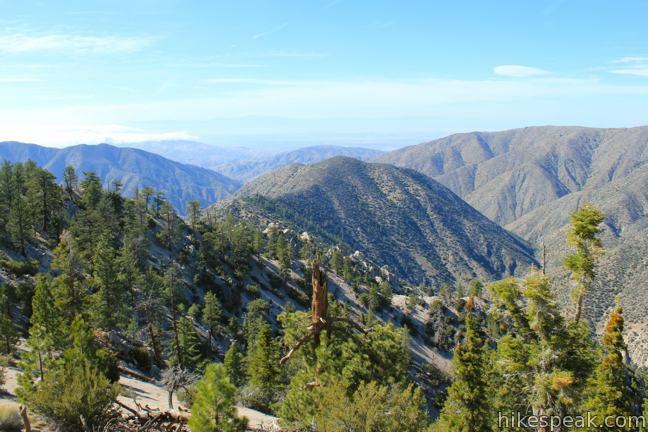 The highest point in the range is Mount Baldy, at 10,064 feet. 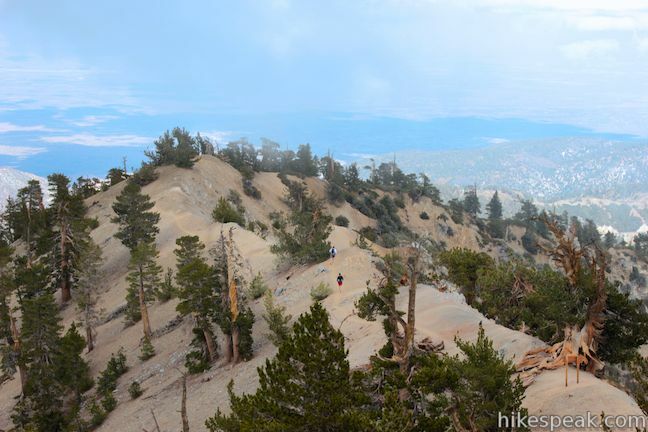 Other notable summits include Mount Baden-Powell, Mount Waterman, and Strawberry Peak. 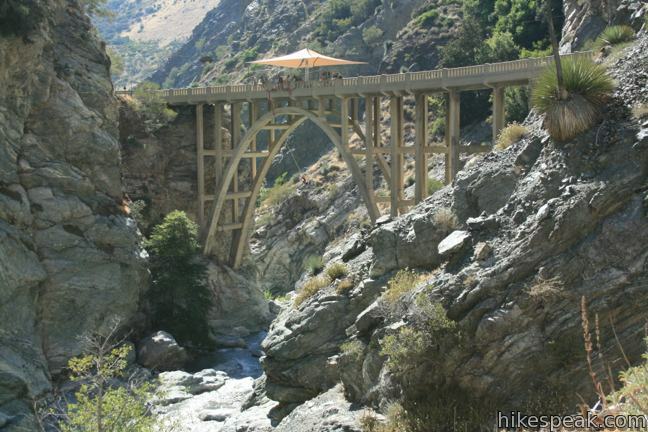 If you are interested in camping, you’ll find many options in the San Gabriel Mountains, including Buckhorn Campground, Coldbrook Campground, Horse Flats Campground, and Manker Flats Campground. 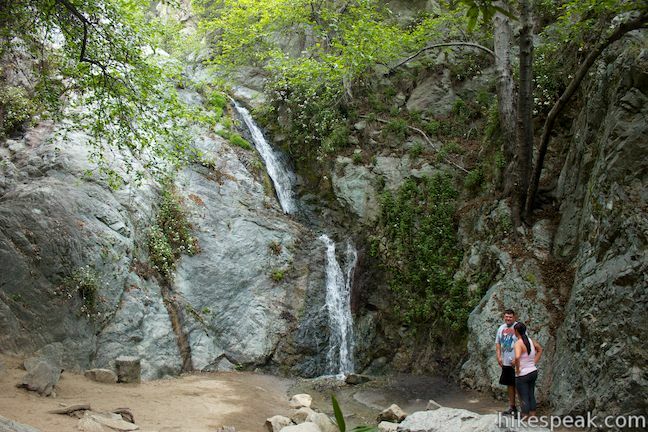 A National Forest Adventure Pass has been a required permit to visit many trails beginning in Angeles National Forest. Due to legal challenges, the Adventure Pass is no longer necessary in many areas (and could disappear completely). The pass can still be be purchased for $5 per day or $30 per year. 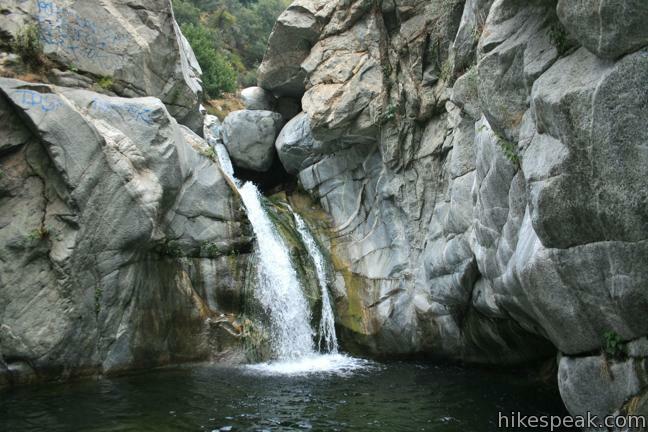 The pass can be used in other national forests in Southern California as well. Passes may be purchased from ranger stations within the park, at various local retailers, and online. Those without a pass may still enjoy several free entry points located inside and outside the national forest boundary. An America the Beautiful National Parks and Federal Recreational Lands Pass can also be used in lieu of an Adventure Pass. 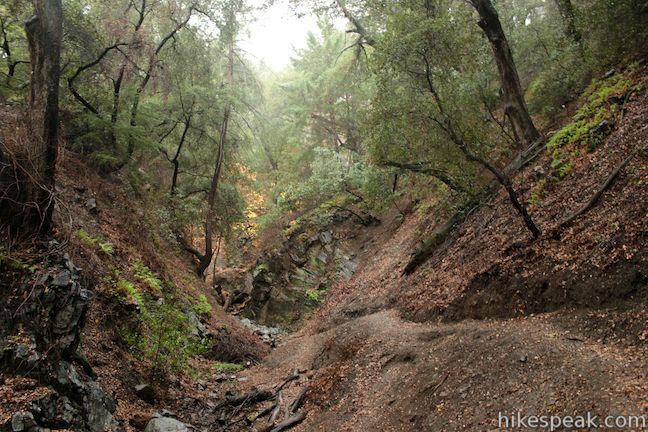 This collection of trails in the San Gabriel Mountains lists the hikes from west to east. The table may also be sorted alphabetically or by distance to help you pick your next hike. A search feature can be used to quickly isolate the hike you are looking for. 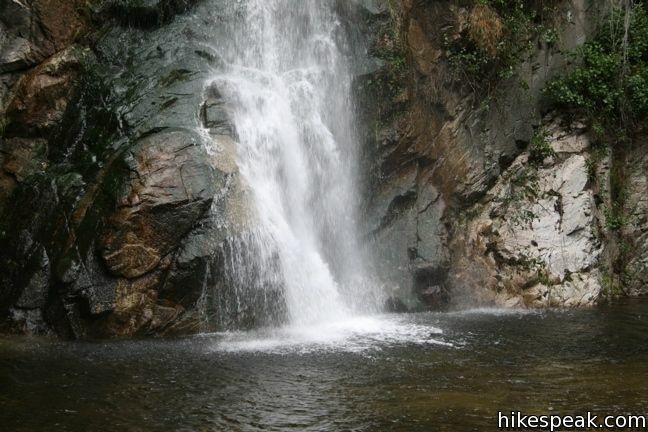 Each trail links to its own report complete with photos, GPS maps, elevation profile, directions, and all the other information needed to locate and enjoy these hikes. 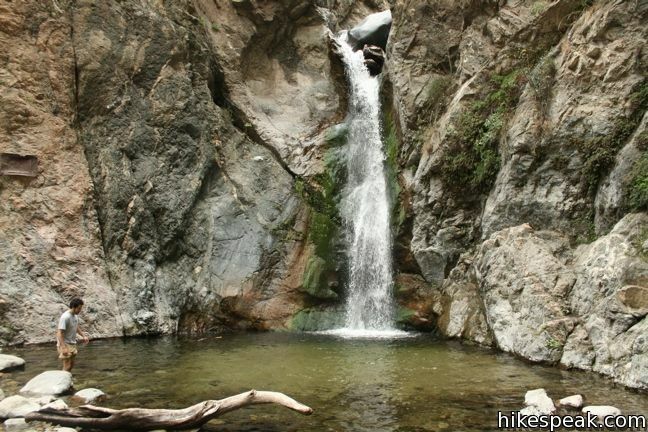 You can also view hikes around the San Gabriel Mountains on the Hike Finder Map.